Don't miss this book. In Red Rock Odyssey, the authors take us on a magical journey through the history, and up the routes from the golden age of Red Rock climbing. 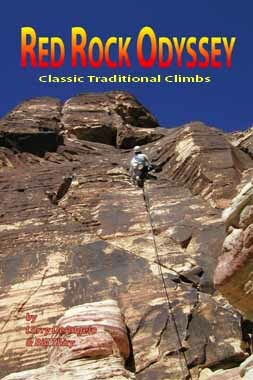 Filled with excellent photographs, history, descriptions, and first person accounts, the spirit of the great Red Rock traditional routes lights up every page. Both newcomer and veteran will find new appreciation for the pioneers, the routes, and the experiences to be found on the rocks. "Bravo! Nice writing. And damn -- this book has forever altered my perception of a place I am now wanting to get to know better. Red Rock Odyssey is not just the rich history of a great climbing area. And it's not just selected climbs either. In this book we get both. It is said that great art demands great audiences. Here you go: your move."